1930s Charmer in Elizabeth Park!! 3 Beds 1 Bath 1,421 Sq. ft. This 1930s beauty located in the up and coming Elizabeth Park/Buchanan Arts District was renovated in 2014 but still maintains much of its original charm. 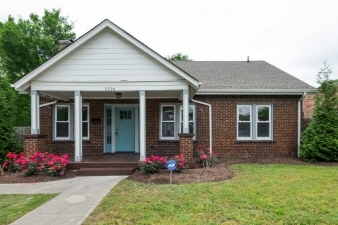 This home packs a punch with gorgeous hardwoods, nice open layout, spacious kitchen with stainless steel appliances, newly painted interior, large backyard with privacy fence and patio just perfect for entertaining. AND LAST BUT NOT LEAST—don’t forget about location, location, location—literally just minutes from all that Germantown and DT Nashville have to offer! !